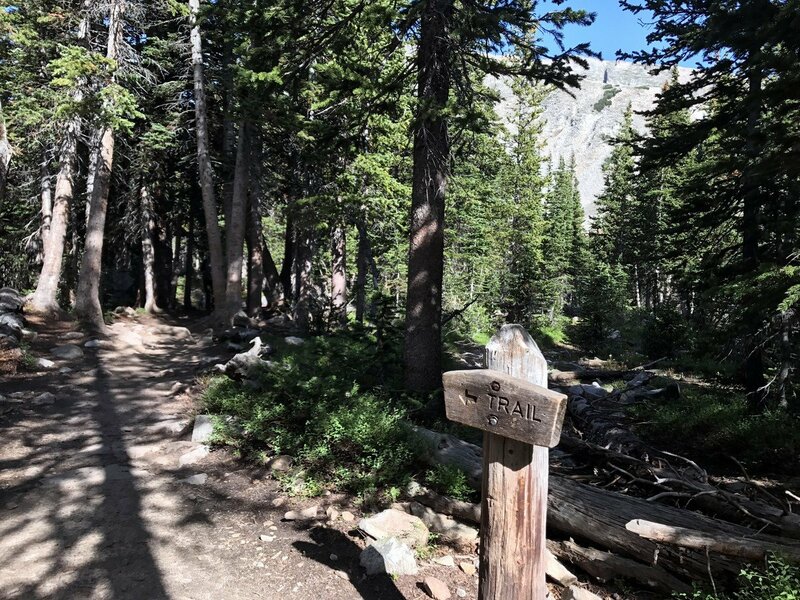 This awesome hike takes you through some of the best alpine meadows in the region. 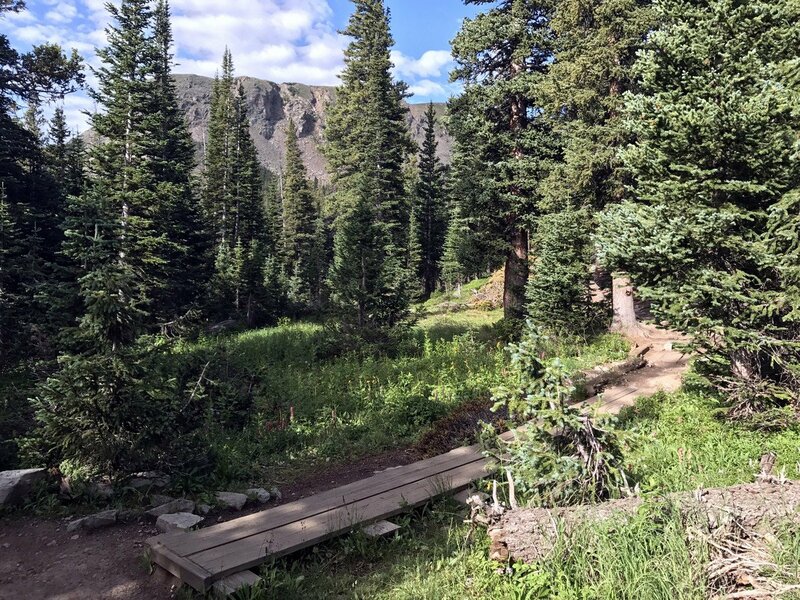 We hope you like wildflowers because in the summer this trail has them in spades. 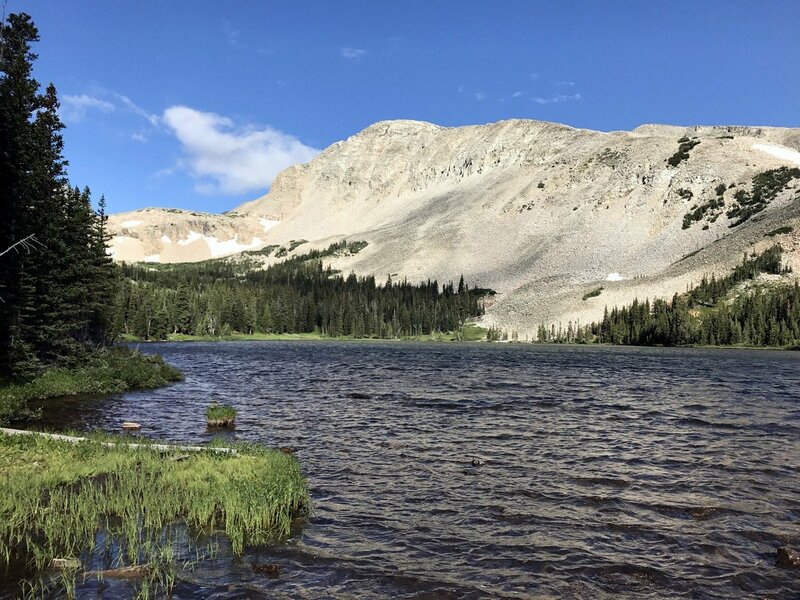 To top it off, the grand finale of this trek is the beautiful Blue Lake with Mount Toll sitting in the background. 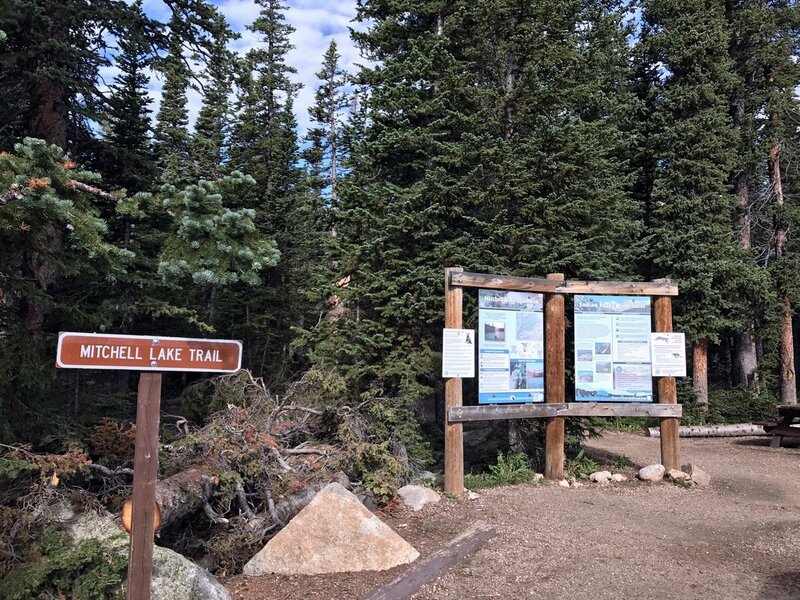 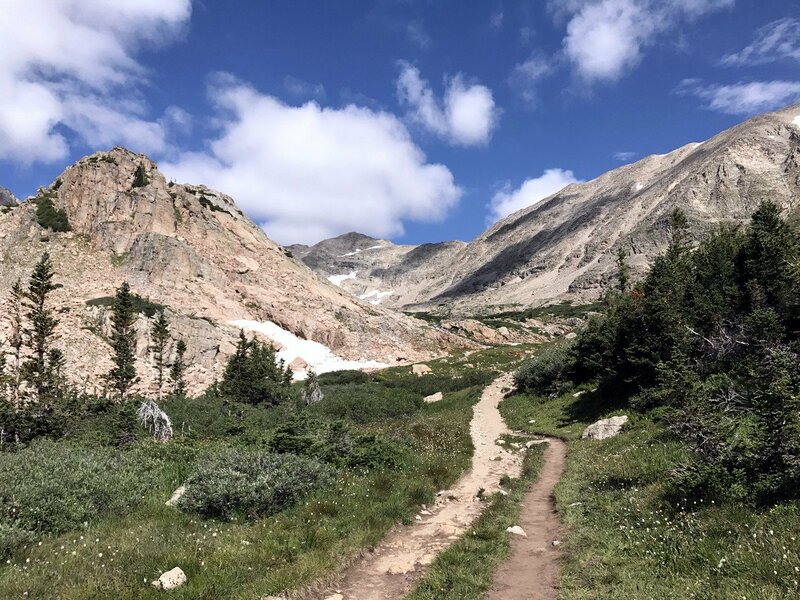 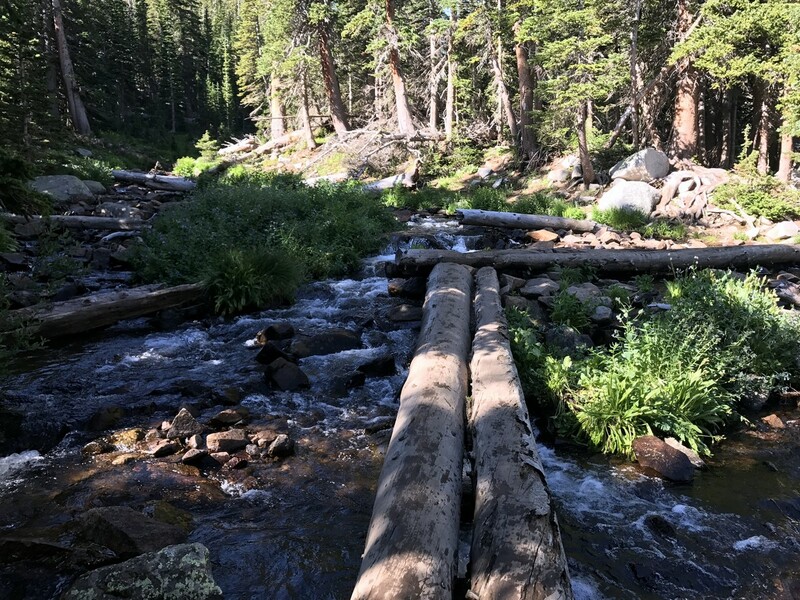 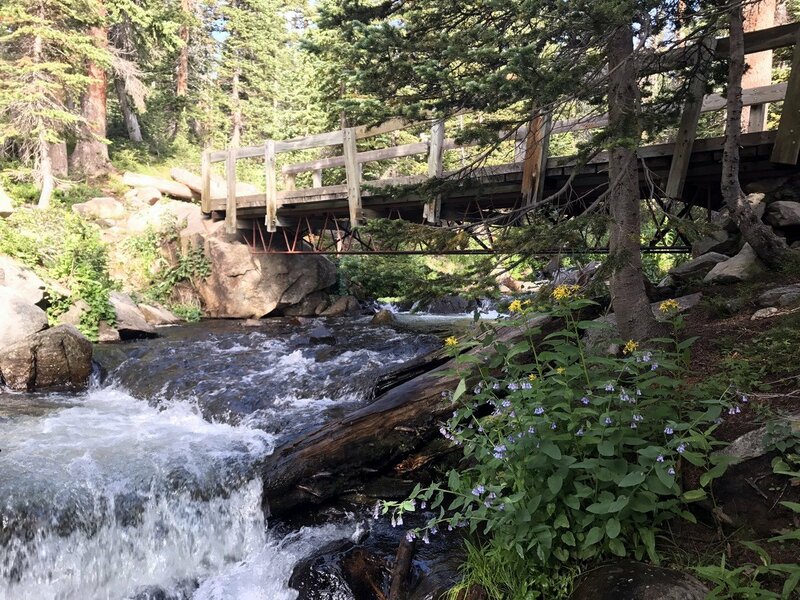 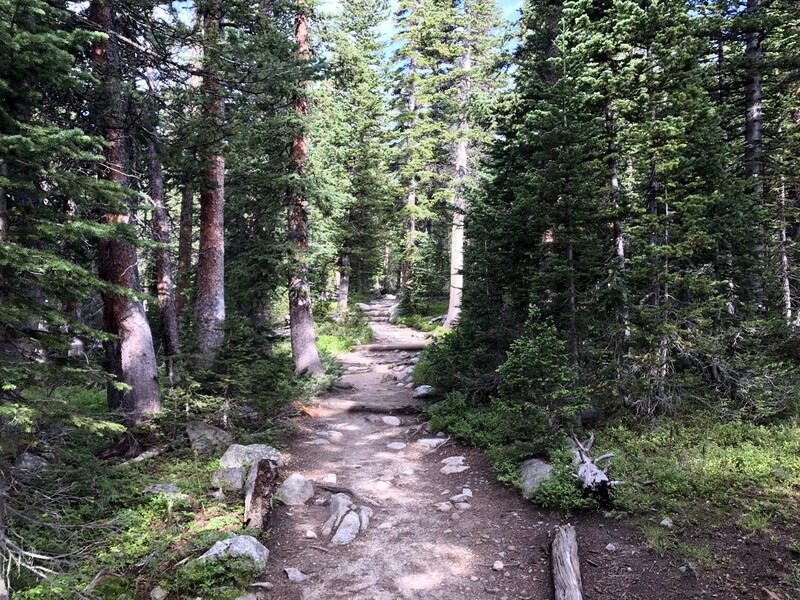 Begin this hike at the Mitchell Lake Trailhead in the Brainard Lake Recreation Area inside Indian Peaks Wilderness. 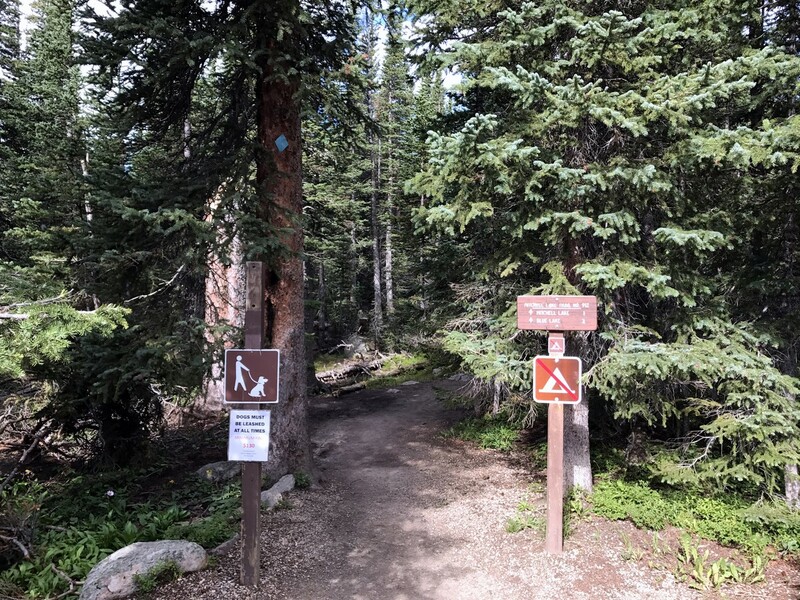 Following along the Mitchell Lake Trail, you will hike through a thick pine forest with some occasional boardwalks laid out along the trail. 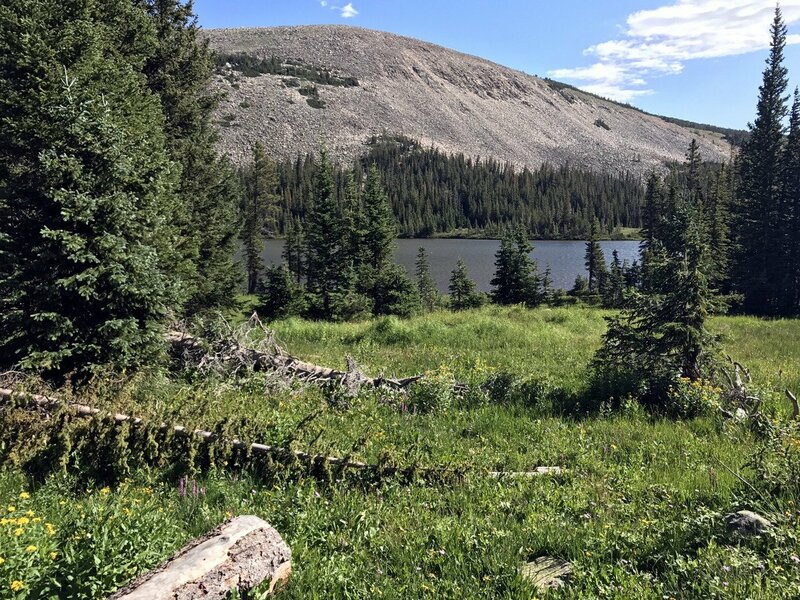 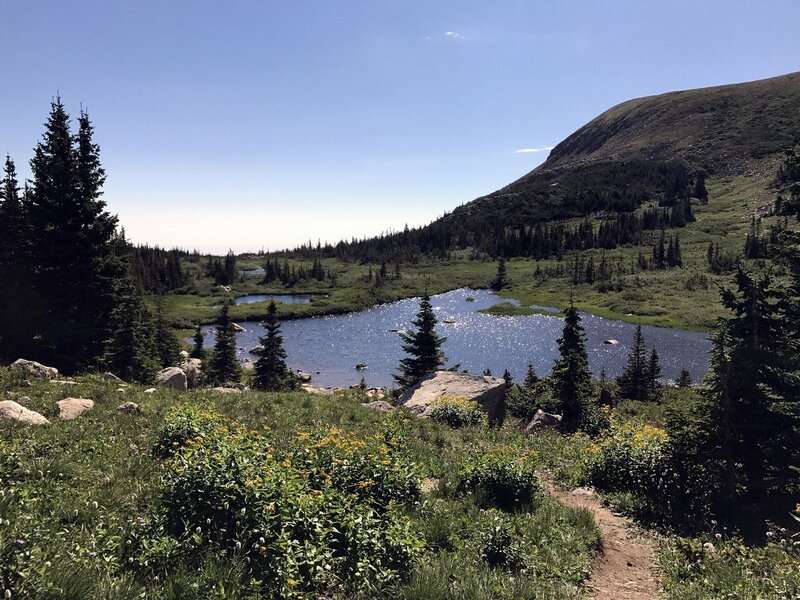 The hike quickly takes you to the shore of Mitchell Lake, a small alpine lake surrounded by wildflowers (depending on the season). 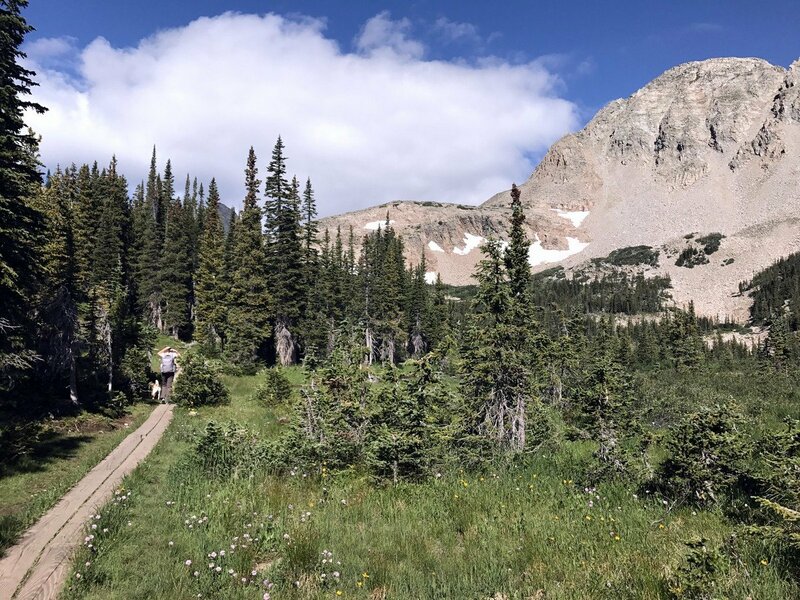 The trail begins to gain elevation after Mitchell Lake before leveling out again in a beautiful alpine meadow. 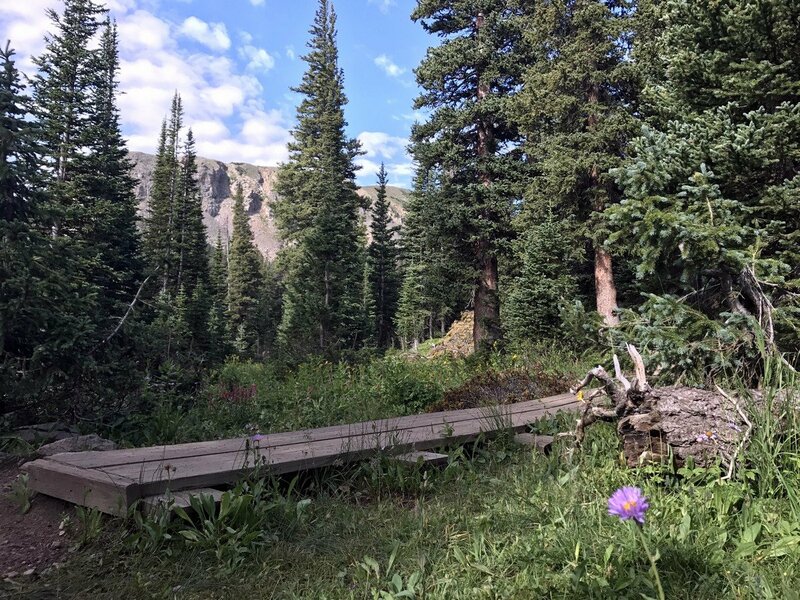 Keep an eye out for moose in this area! 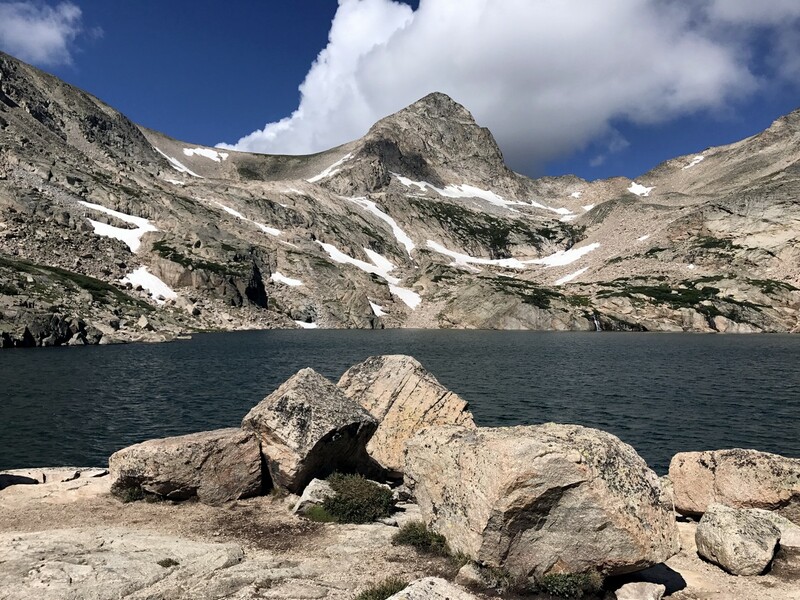 The closer you get to reaching Blue Lake, the more impressive the views of the Indian Peaks become. 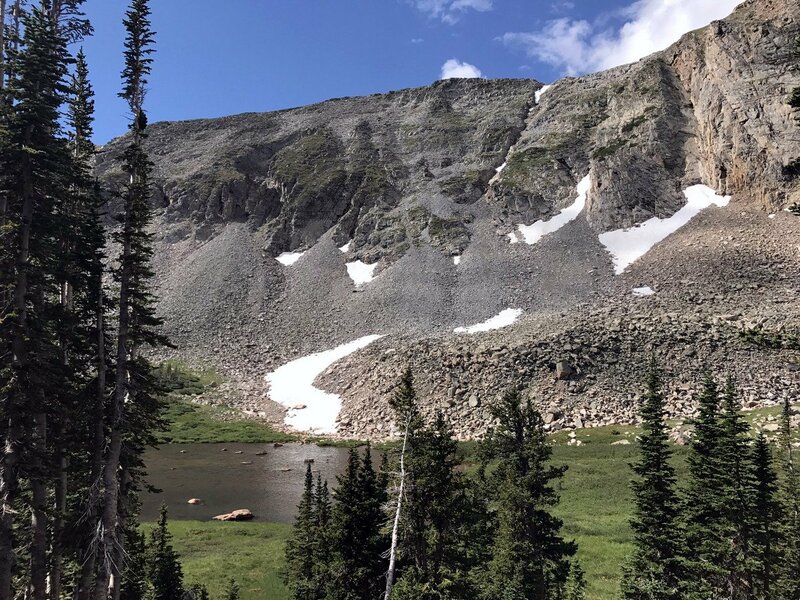 One more uphill section with mild elevation gain brings you to a stunning view of Blue Lake with Mt. 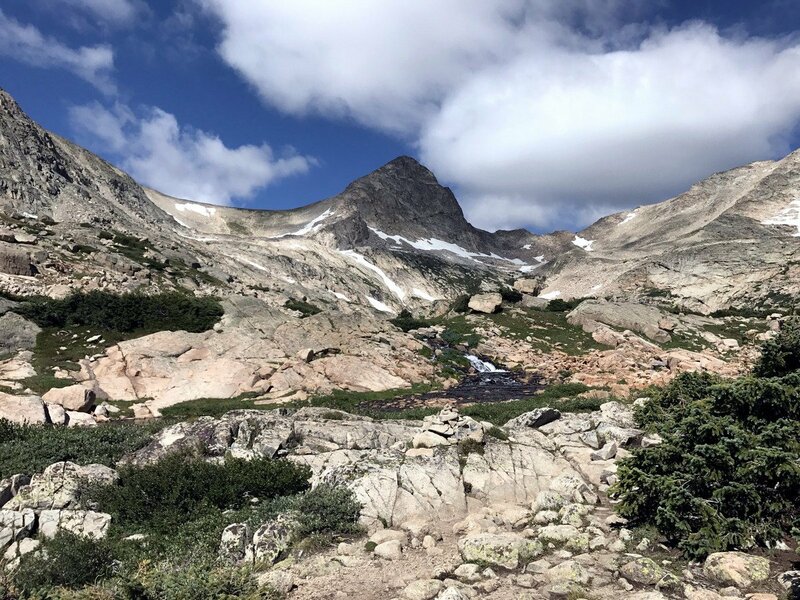 Toll (3956m) as a backdrop. 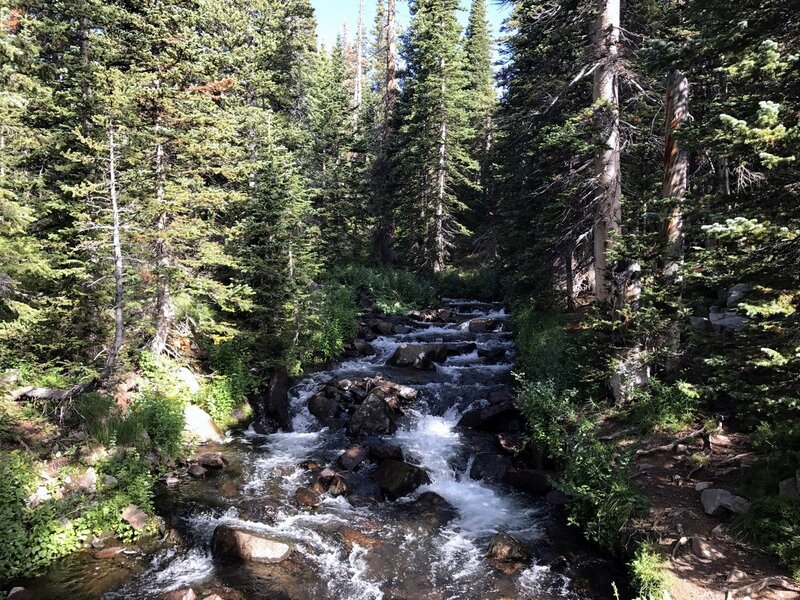 When you’ve had your fill of this charming lake, head back down the trail on the same path you came in on. 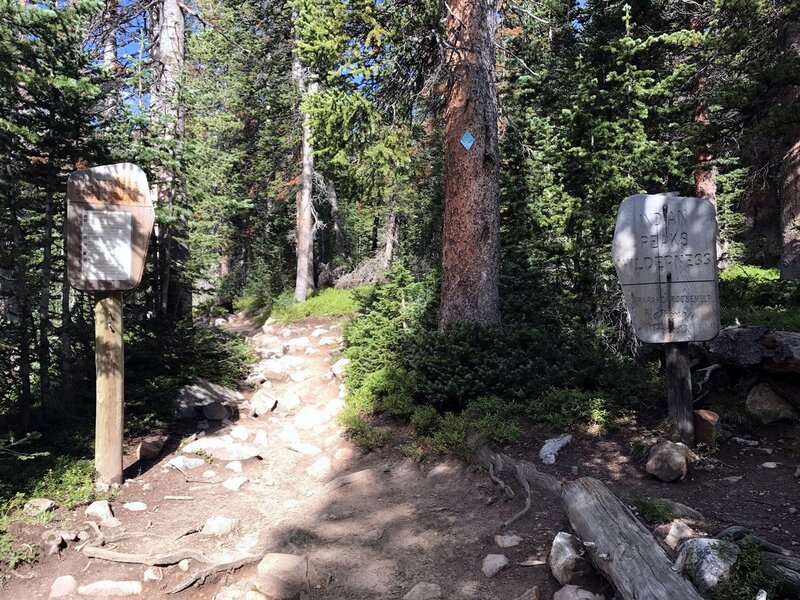 Gate Fees can be found here.